Last night, the City Council approved a Memorandum of Agreement (MOA) with Twining Properties for the development of the Long Island Sound waterfront at Echo Bay — a large and important step toward reclaiming the shoreline for the public’s use and enjoyment. 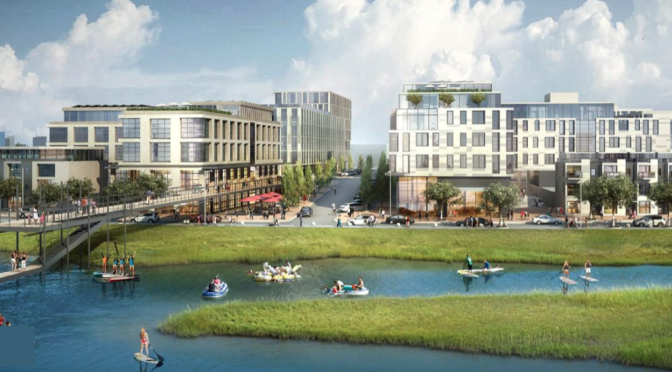 Called “Pratt Landing,” the project envisions a mix of homes, shops, offices, hotel space, and parkland with a continuous public promenade at the water’s edge. There’s more about the project in this prior post. Over the next 12 – 18 months, Twining will prepare an environmental impact statement that comprehensively analyzes Pratt Landing’s benefits, costs, and effects. Public input will be welcomed and aspects of the project could certainly change prior to final approval by the City Council. The right kind of waterfront development can strengthen our local economy, improve our environment, create new jobs and recreational opportunities, and enhance property values. So I am encouraged that this positive vision is moving forward. There’s more information in this press release.